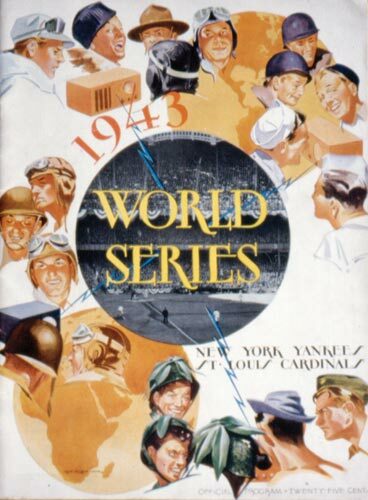 Back in 1941, baseball was still the national pastime. Americans liked the relaxed pace. The break between pitches was just long enough to ponder some strategy, and shell and eat a couple of roasted peanuts. Football was struggling to get started back then, its earthier appeal still a long way from turning it into the country’s new preferred spectator sport. Though the game continued without interruption, the players got no special draft treatment. Of the 5,700 men in baseball’s major league and 41 semipro minor leagues, 4,000 went to war. Some of the biggest stars left, and the New York Yankees, perennial employer of future Hall of Famers, lost the most talent. Their greatest, Joe DiMaggio, joined the army. Boston Red Sox slugger Ted Williams went off to fly fighters for the navy. Detroit Tigers first baseman Hank Greenberg, the first Jewish baseball star, was released from the army two days before the attack on Pearl Harbor and immediately reenlisted. Overseas, most players spent more time on baseball diamonds than battlefields. Their commanders realized they were more valuable helping their units win morale-boosting ballgames against other units than taking their chances against enemy bullets and bombs. Chewing gum magnate and Chicago Cubs owner Philip Wrigley saw opportunity in the decline of the quality of Major League Baseball. Figuring that a new, unique league could draw curious fans and make some money, he founded the All-American Girls Professional Baseball League. Players were chosen from among the 40,000 women on semipro softball teams across the country. Wrigley wanted women who could hit, pitch, field, and look good. “Femininity is the keynote of our league,” read an official letter from the league office. “No pants-wearing, tough-talking female softballer will play on any of our four teams.” Wrigley required the players to wear lipstick, longish hair, and skirts, and even hired charm-school instructors to try to make them more sophisticated. In the best of its 11 years, the league drew a million fans to its ballparks. 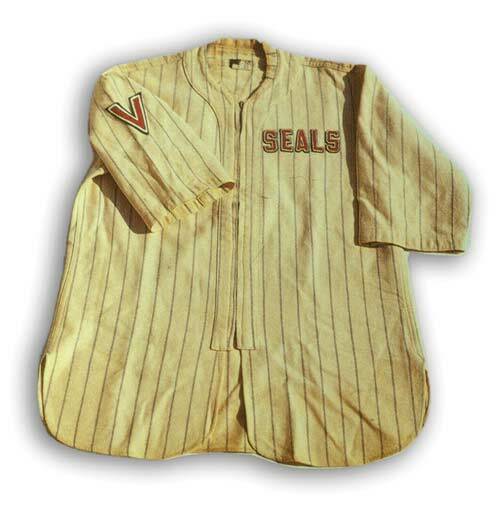 Photos: The San Francisco Seals wore a V for victory on their 1943 jerseys, but the Yankees won the World Series that year; the series program shows the games being broadcast to GIs overseas.